We were in the 1st Arrondissement of Paris at the Eglise Saint-Roch, when we took these high definition photos showing a statue called the Baptism of Jesus, which was sculpted by Jean-Baptiste I Lemoyne and Jean-Baptiste II Lemoyne. 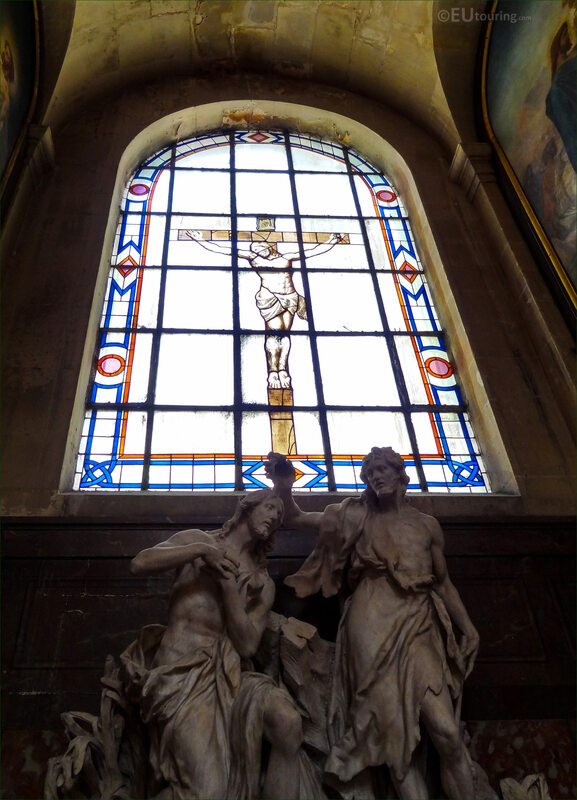 This fist HD photo shows a statue called the Baptism of Jesus, which in French translates to Le Bapteme de Jesus, and this is located within the Saint-Jean-Baptiste chapel within the Eglise Saint-Roch that can be seen on the far left hand side of the church from when entering, just after the baptismal font. 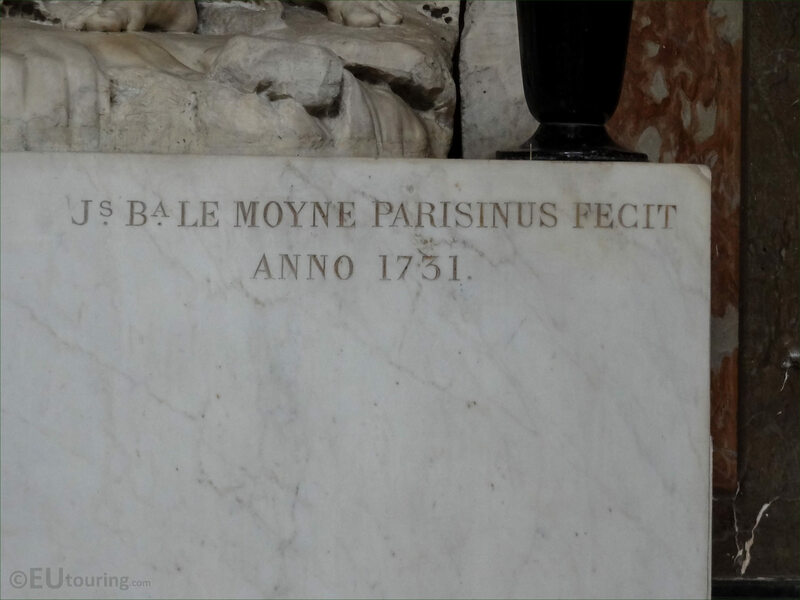 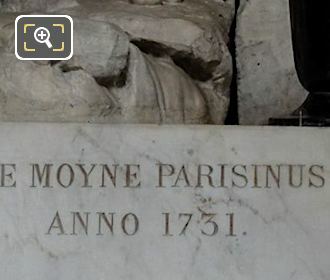 Now here you can see a close up photograph showing the inscription on the base of the ornate statue depicting the Le Bapteme de Jesus, which was sculpted in the year 1731, and made of marble, this was sculpted by Jean-Baptiste I Lemoyne born in 1681 who died in 1731, yet he was aided in its completion by his nephew Jean-Baptiste II Lemoyne who was born in 1704 and died in 1778, but also note that their name could also be spelt Le Moyne. 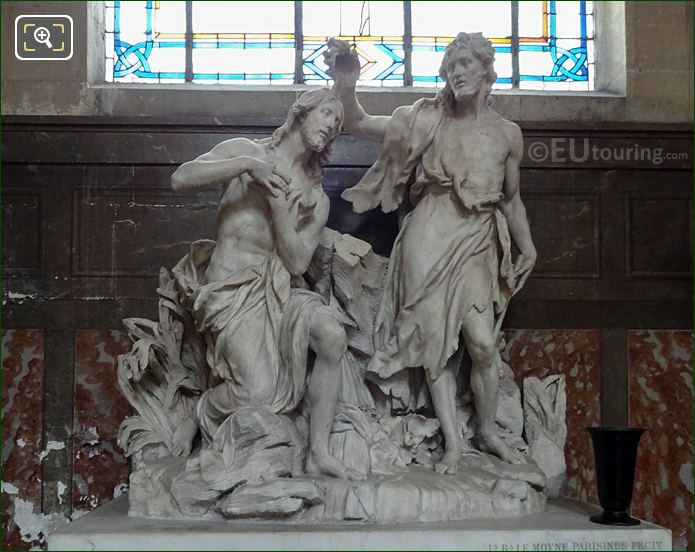 Originally the ornate marble statue depicting the Baptism of Jesus was placed within a Roman Catholic church called the Saint-Jean de Greve, which was a chapel in the 4th Arrondissement of Paris that was destroyed after the Revolution and was originally close to the Hotel de Ville, but some features were preserved, which includes this particular statue by Jean-Baptiste I Lemoyne and Jean-Baptiste II Lemoyne now at the Eglise Saint-Roch. 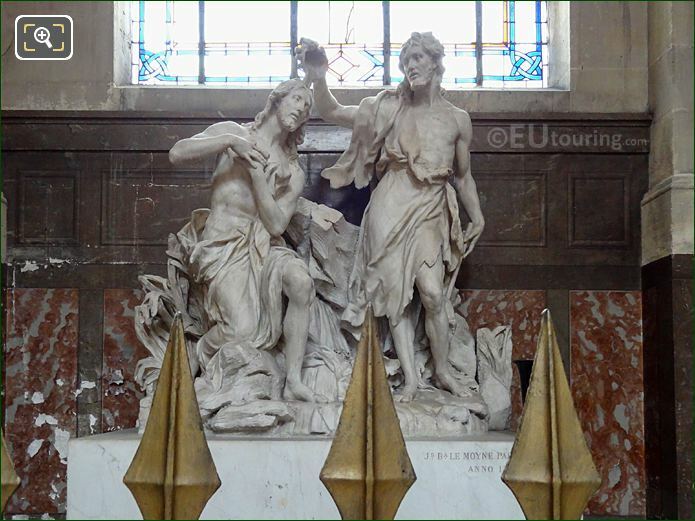 At the time when we were visiting, they had tourist information boards that had been produced in conjunction with the Musee du Louvre and the Mayor of Paris, which provided further details about this statue group including the date of 25th August 1802 when this was first placed within the Saint-Roch Church, and classified as an historical monument on 20th February 1905, Le Bapteme du Christ now has an inventory number of ROC101/777.